Today, I've realized there is sign of wearing tire around front wheel outer studs. Do you have any idea about the cause of the problem? Not sure what you expected from the dealer in terms of reducing the noise - after all, these are studs, they will be noisy. 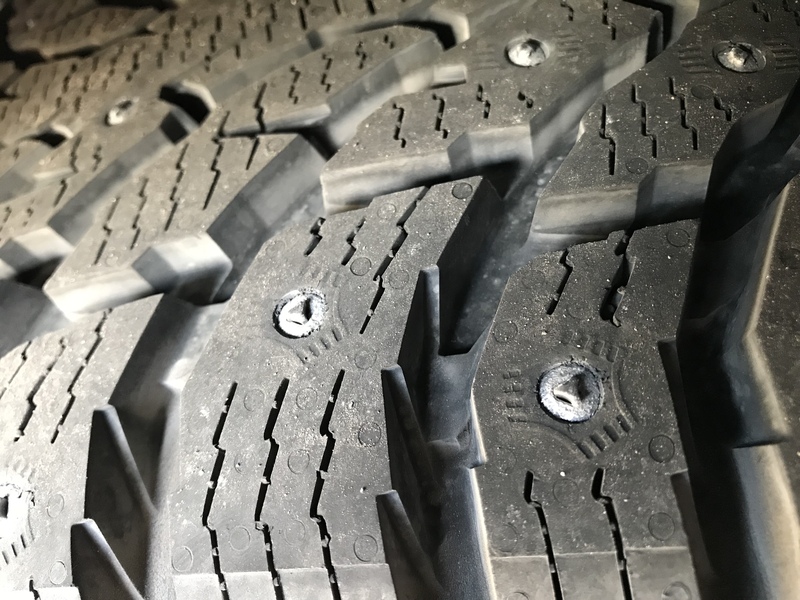 Just curious - where in Canada do you live that you need studded winter tires? 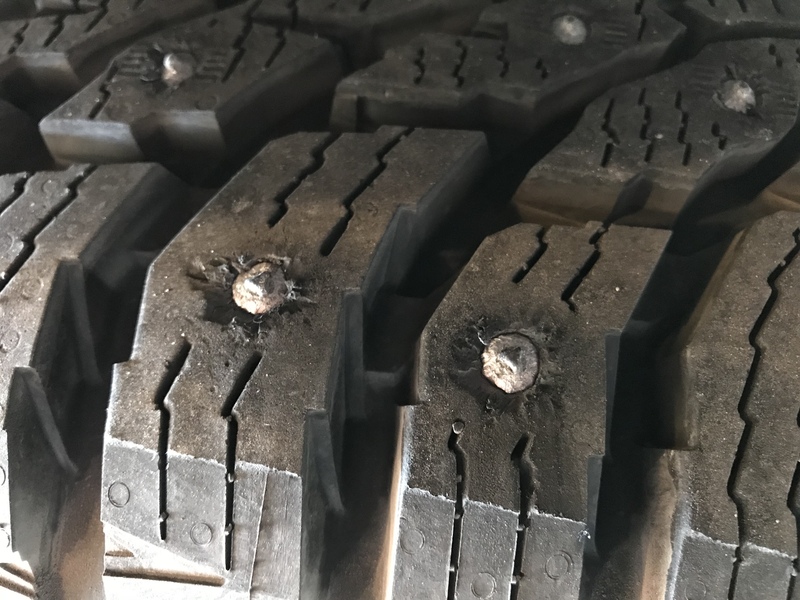 If you are driving with studs on regular asphalt, expect them to wear out very soon. In terms of uneven wear - perhaps, you need wheel alignment?